This document describes how to configure for guest access on autonomous Access Points (APs) with the use of the internal web page that is embedded in the AP itself. 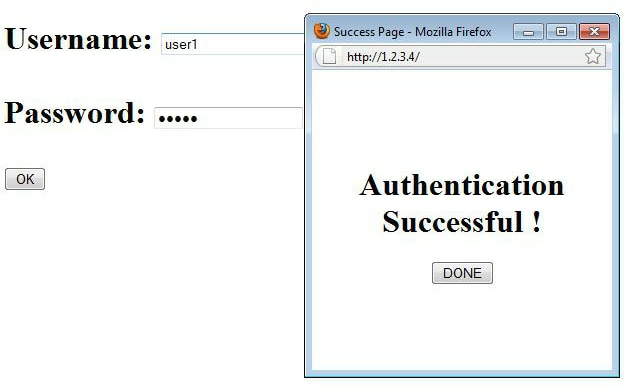 Web authentication is a Layer 3 (L3) security feature that enables the autonomous APs to block IP traffic (except DHCP and Domain Name Server (DNS)-related packets) until the guest provides a valid username and password in the web portal to which the client is redirected when a browser is opened. With web authentication, a separate username and password must be defined for each guest. The guest is authenticated with the username and password either by the local RADIUS server or an external RADIUS server. Note: This document assumes that Bridge Virtual Interface (BVI) 1 on the AP has an IP address of 192.168.10.2 /24, and that the DHCP pool is defined internally on the AP for IP addresses 192.168.10.10 through 192.168.10.254 (IP addresses 192.168.10.1 through 192.168.10.10 are excluded). You can create other users with the same process. Note: You must enable radius-server local in order to create guest accounts. Note: You can use an external radius server in order to host the guest user accounts. In order to do this, configure the radius-server host command to point to the external server instead of the AP IP address. 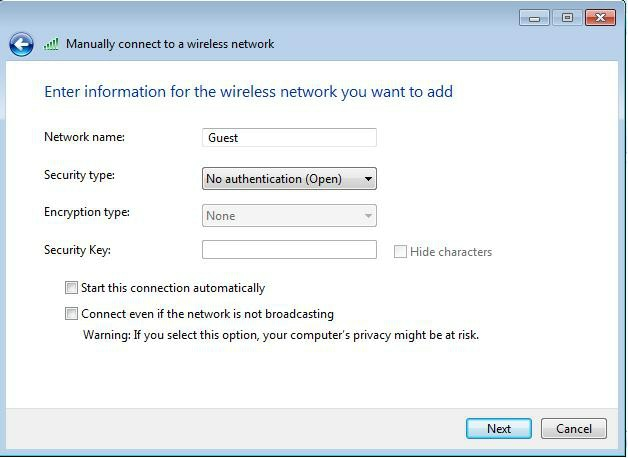 In order to configure the wireless network on your windows supplicant utility with the SSID named Guest, navigate to Network and Internet > Manage Wireless Networks, and click Add. Note: This test is completed with a random IP address entered directly (here the URL entered is 1.2.3.4) without the need for translation of a URL through the DNS, because the DNS was not used in the test. In normal scenarios, the user enters the home page URL, and the DNS traffic is allowed until the client sends the HTTP GET message to the resolved address, which is intercepted by the AP. The AP spoofs the web site address, and redirects the client to the login page stored internally. Once the client is redirected to the login page, the user credentials are entered and verified against the local RADIUS server, as per the AP configuration. After successful authentication, the traffic that comes from and goes to the client is fully allowed. Note: Roaming between APs during web authentication does not provide a smooth experience, because the clients must log in to each new AP to which they connect. Similar to the IOS on routers or switches, you can customize your page with a custom file; however, it is not possible to redirect to an external web page.